Pennsylvania legislators have proposed a new law that would preserve the existence of nuclear power by funding operations via large-scale government subsidies. Lawmakers recently proposed “Keep Powering Pennsylvania” House Bill (HB) 11, which, if passed, would re-classify nuclear power as a qualifying energy resource under Pennsylvania’s Alternative Energy Portfolio Standards (AEPS) and effectively subsidize the entire industry within the state. As part of Pennsylvania’s larger alternative energy initiative, AEPS was enacted to provide economic development opportunities by increasing the mix of alternative energy generation. The law requires each distribution company in Pennsylvania to supply 18% of its electricity using alternative-energy resources by 2020. AEPS establishes two tiers of eligible energy sources to satisfy the 18% requirement: Tier I sources(including forms of solar, wind, low-impact hydro, geothermal, biomass, biologically derived methane gas, coal-mine methane and fuel cell resources) as well as Tier 2 (including waste coal, large-scale hydro, municipal solid waste, wood pulping and other forms). 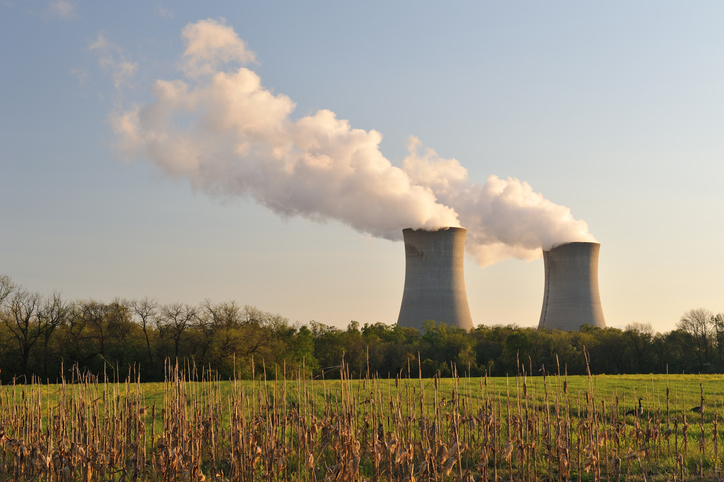 Now, Pennsylvania’s proposed HB 11 would add a third tier to AEPS to include nuclear power and mandate that companies in the wholesale electricity market purchase credits from various nuclear facilities. The price of the new credits would be tied to the value assigned to existing credits for other alternative energy sources, including solar and wind power. If passed, HB 11 would generate approximately $500 million annually and be funded by collecting monthly fees from all ratepayers across the state, translating to a roughly $2 to $5 monthly increase for the average consumer, or potentially more, depending upon consumption. Without the subsidy, some argue that Pennsylvania’s five major nuclear power plants—which generate roughly 40 percent of the state’s electricity — would be in jeopardy of closing, including Three Mile Island and the Beaver Valley Power Station. Pennsylvania’s HB 11 follows similar measures to subsidize nuclear power as in other states, including Connecticut, Illinois, New Jersey, and New York, which we previously reported set forth a similar carbon credit-based nuclear power subsidy program. In all of these states, fossil fuel proponents had opposed government subsidies for nuclear power, arguing that bailouts were an intrusion into the free market and would increase energy costs. If passed, there could be legal challenges to the law by competing energy industries in Pennsylvania seeking proof of “financial stress,” that required government subsidy. On the other hand, those in favor of HB 11 argue that the environmental benefits associated with nuclear power justify the subsidy. For example, supporters argue that because nuclear power has little to no carbon emissions, the subsidy would reduce greenhouse gasses, help support climate change efforts, and thus should be given the same special treatment that other clean forms of energy are given under Pennsylvania’s AEPS.